Jonathan Anderson approaches every collection as a celebration of crafts, which he translates through unique silhouettes and fabric combinations. 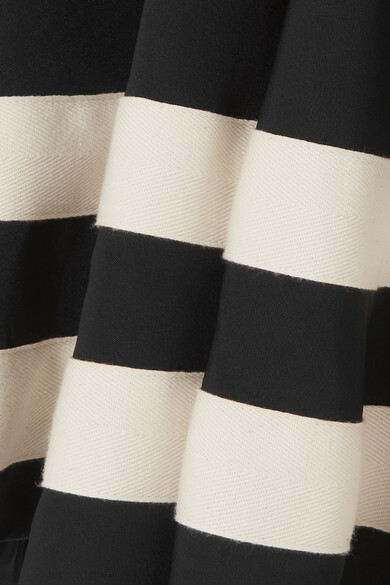 Made from black twill, this dress has layered sleeves that fasten with slim ties at the cuffs and is traced with rows of cream canvas along the hem. 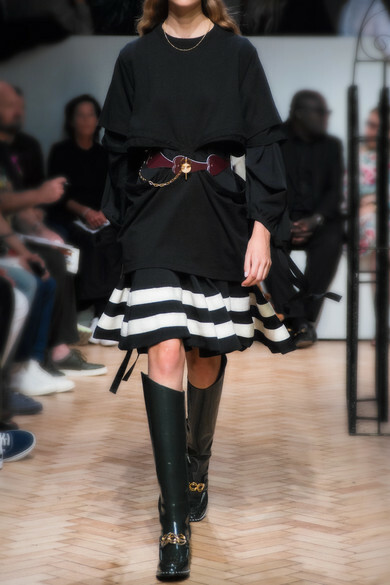 Take cues from the Spring '19 runway and style yours with boots. Shown here with: Loewe Shoulder bag, Ann Demeulemeester Ankle boots.